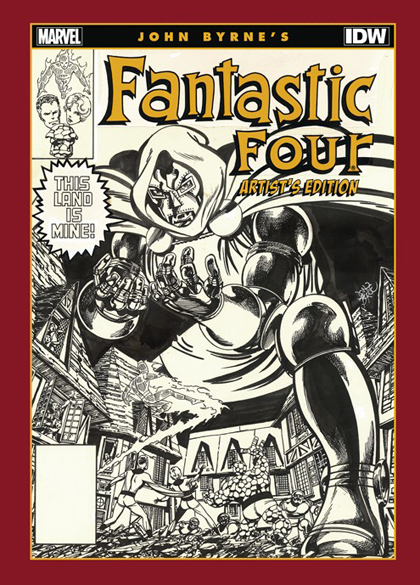 JASON’S PICK :: John Byrne Fantastic Four Artist’s Edition: A few months back, I chose the Gil Kane Spider-Man Artist’s Edition as a pick of the week. As excited as I was for that book, this volume is one I’ve been looking forward to since IDW began the Artist’s Edition line. John Byrne’s run on Fantastic Four is one of the high points in the series’ history, so I can’t wait to get a look at the art from this selection of issues by one of comics’ great artists in all its original, full-sized, unfiltered glory. If you’re a fan of Byrne’s early to mid-1980s glory days, this book is definitely worth checking out.